In recent years, we have had many clients saying ゛It is getting difficult to recruit the right person”. such as mechanical design, sensor and motor control,in addition recent demand for handling the cloud and AI.Furthermore it is difficult to recruit business persons who can respond service robot and AI which is in the expansion phase of introduction. However, educating and training your own employee is easier than recruiting the right person. In March 2018, we will acquire employment placement business accreditation and will expand our recruitment support services. You want to start a robot business and make robots but don’t know where to start? You have an idea and budget but do not know what to do? Please do not hesitate to contact us for consulting services at such times. The first one hour interview is free. Our speciality is not only communication robots, but also remote control robots for VR, bipedal walking robot up to 120 cm in height, and wheeled type from small to life size. We have a proven track record of development since we have a know-how for developing all service robots in general, such as network interlocking. Please leave it to us! Proceed with development according to your budget. Please feel free to contact us. 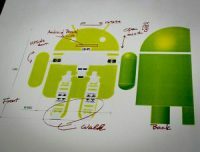 Robots consist of board development, mechanical development, software development and various know-how. Regarding boards, we have know-how and proven track record of the sensor board, motor driver, CPU board, power supply circuit. In addition, we have a proven development track record including automation production , network interlocking etc. In case of the measuring equipment, using our know-how of sensors, we can provide total support including selection of sensors to be measured and filtering software. RIC is a robot that can express the softness and warmth necessary for touching people by playing a role by wearing a costume. RIC Torso is a torso-type research robot that has multidegree of freedom like human body and recognizes the surrounding environment. RIC Vehicle is a platform robot to carrying the RIC Torso and others. We offer experimental services using zebrafish at a lower price than the service using the mouse. 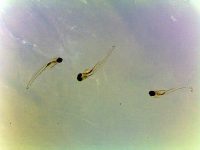 In the United States and Europe, there is a law to use zebrafish for the toxicity test of the compound. Our testing service allows you to quickly and accurately analyze the effects of test compounds on the organism at the same level as the mouse.